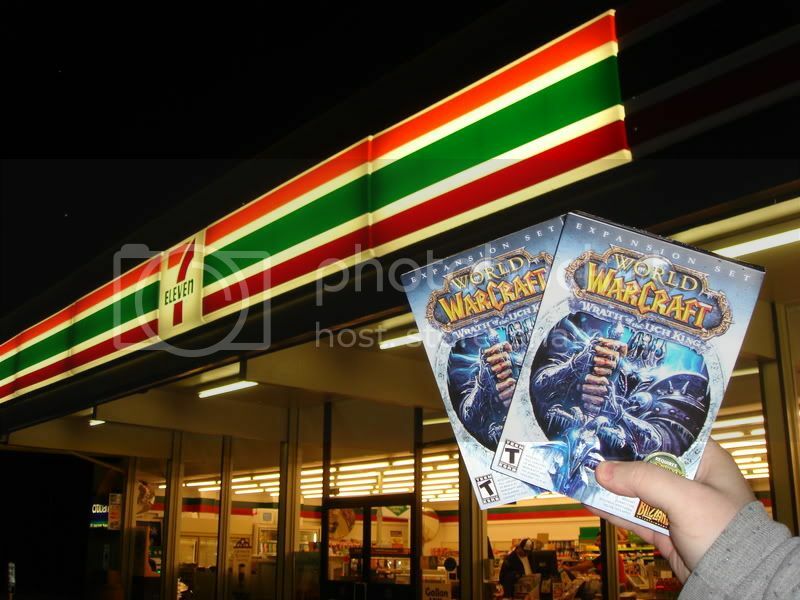 But hey, Wrath of the Lich King is coming out tonight, biggest MMO release ever! Did I miss anything? Because when an MMO failure is so large even Prokofy Neva notices from deep within the SL bunker, you know it’s kinda a big deal. Edit: Oh yeah, missed one minor thing: 7-11 broke the street date. So if you don’t want to wait for a midnight launch party, buy a copy now and wait for Blizzard to pop open the servers at 9PM Pacific. Assuming, you know, the servers haven’t melted into small puddles of liquid silicone.